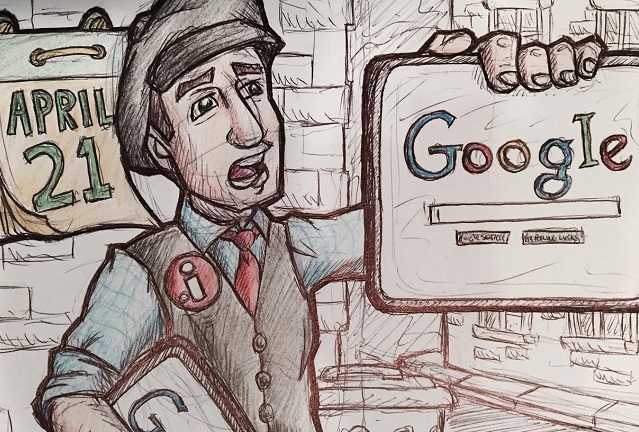 Google, Google, Read All About It | Infomedia, Inc. When Google makes an announcement, you need to pay attention. Google is giving webmasters over a months notice to follow their new guidelines in mobile friendliness. They announced that on April, 21 the mobile search engine results will weigh more heavily on your site being mobile friendly. Google has given a tool to use and determine whether your site is mobile friendly. When Google gives you a tool – you better use it. We had one client asking us if they’re ready for the new Google update. We ran their website through Google’s tool and the results were not good. We know that Google has said the update will occur on April, 21st. It will apply only to mobile search. However, there is speculation that this update will eventually become a part of the desktop algorithm. The update is intended to help mobile users to find high quality content easier on their mobile device. If we haven’t stressed this enough then please listen again. You need a mobile friendly responsive website. Google is giving you a fair warning about what is to come in mobile search. If you don’t have a mobile friendly site then you should be figuring out how to get there soon. Google has given us their Mobile Friendliness Testing Tool to examine your website. Don’t be surprised if you notice a downtick in your website traffic. Google has informed you of this major update to mobile search. Lance Moore is a treasure hunter. His home is wallpapered with maps, and he loves geocaching and searching out that elusive pot of gold. But it's not the prize that matters — it's the adventure that really counts. The same spirit that drives him to be a thrillseeker and a zealous (okay, sometimes overly zealous) board game competitor makes Lance just the man you want working SEO for your website. He's the Indiana Jones of keyword marketing, seeking out just the words and phrases that will mark the spot to your website.